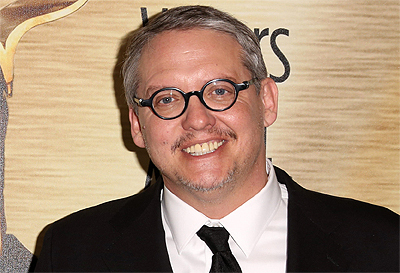 Nerdist got a chance to talk to Oscar-nominated writer/director Adam McKay (The Big Short, Anchorman) about the possibility of him returning to perform the same re-write duties on Marvel Studios sequel Ant-Man and the Wasp as he did on the first one, to which the self-avowed comic book fan answered in the enthusiastic affirmative. McKay will work on a script currently being developed by writers Andrew Barrer & Gabriel Ferrari, members of the Transformers writer’s room who previously did production re-write work on Ant-Man, as well as star Paul Rudd. It makes sense given McKay’s skill set in improv, as well as his time campaigning for The Big Short right now, that he would come on to punch-up the script after at least a draft or two is complete. As for the oft-discussed possibility of him stepping in and actually directing a Marvel movie (Inhumans has been suggested), that seems less likely as he’s currently working on a movie about immigration with frequent collaborators John C. Reilly and Will Ferrell, as well as a concept about climate change. Ant-Man and the Wasp will feature the return of Paul Rudd as Scott Lang alongside Evangeline Lilly as Hope Van Dyne with Michael Douglas also expected to reprise the role of Hank Pym in the film. Peyton Reed will return to direct the film. Ant-Man and The Wasp is set for release on July 6, 2018. Its predecessor has now grossed over $519 million at the global box office.